With a history rooted in the creation and implementation of the CLASS tool (Classroom Assessment Scoring System) for measuring the quality of student-teacher interactions in early education, Teachstone has become the trusted leader in CLASS-driven measurement and mentoring. With more than half the states in the nation using CLASS as part of their early education QRIS, Teachstone provides professional development, training and services to educators across the country. Teachstone needed to effectively share its success across the wide variety of partnerships they support, highlighting the tailor-made solutions they provided with their CLASS tool and myTeachstone platform In the same vein, Sales and Services lacked a birds’ eye view of national adoption and implementation of Teachstone tools and services. 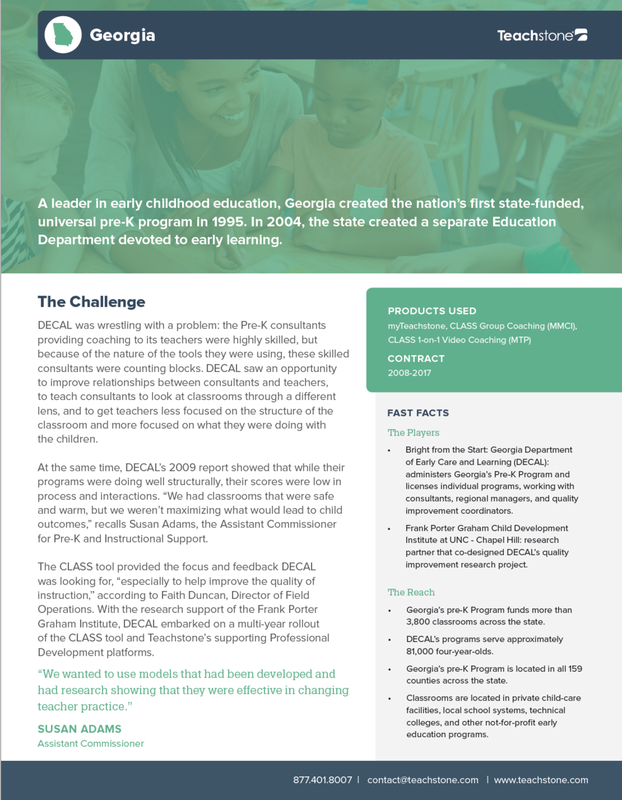 RYE brought an educator mindset to the development of marketing materials, supporting the strategic selection of partnerships to spotlight, and provided comprehensive research on the adoption and implementation of CLASS across the country. Research client partnerships, state legislation, state and federal funding in both current and future cycles, identifying areas of success and pinpointing areas for growth. Interview clients and customer success managers to build marketing language, compare partnerships and provide testimonials for case studies. 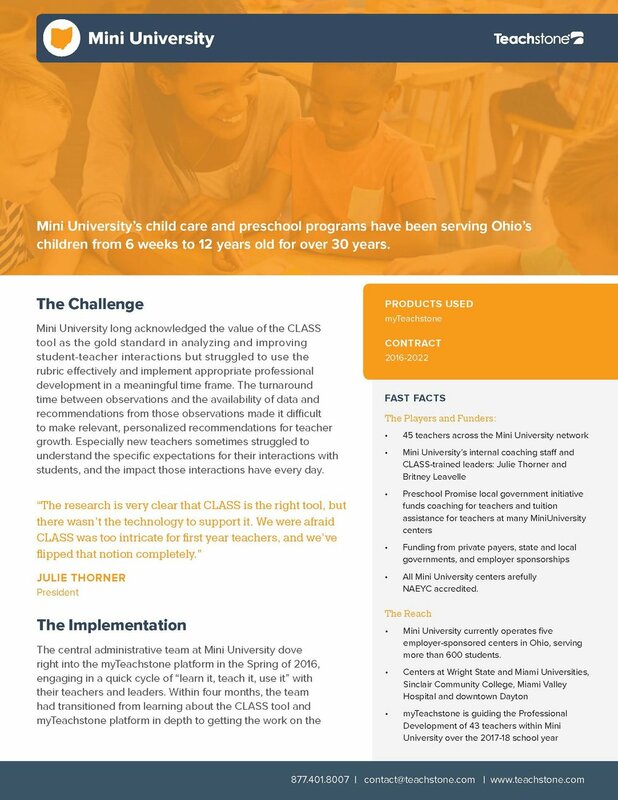 Draft and create design suggestions for a selection of client case studies to serve as marketing materials for the Teachstone sales teams and for download on the Teachstone website. RYE improved Teachstone’s ability to tell its story within and outside the company, creating valuable marketing materials with its client case studies and building an accessible, useful repository of state policy and product implementation that serves as a living resource for internal and external stakeholders.